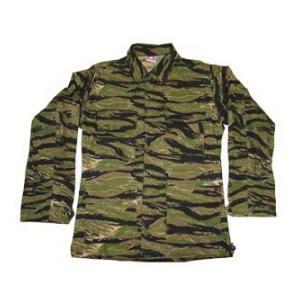 Propper Genuine Gear long sleeve BDU shirts are made of a 60% Cotton/40% Polyester Ripstop blend. Military-Inspired construction and authentic fit. It has four Four front cargo pockets, Fused pocket flaps and collar for a clean, professional look, Covered button front and Two-piece double reinforced elbows. Import.